Worldwide supplier of container chassis, shipping containers, twist locks, platform trailers and more! 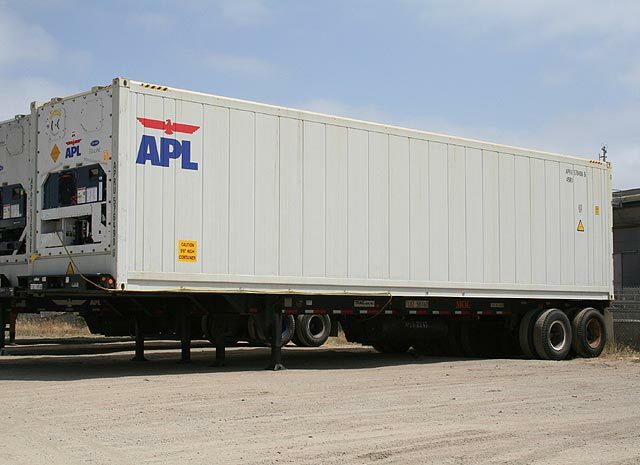 Refrigerated containers, also known as reefer containers, are designed to operate at temperatures between 80F and -18F. A wide variety of commodities can be stored in reefers including fresh fruits and vegetables, fresh and frozen meats, poultry and seafood juices, dairy products and eggs, frozen prepared foods, fresh juices and concentrates, confectionery products, live plants and flowers, chemical and biological products. Perfect for businesses requiring climate controlled storage such as food manufacturers and distributors, florists, grocery stores, schools, or anyone with an immediate need for extra ground level temperature controlled space. 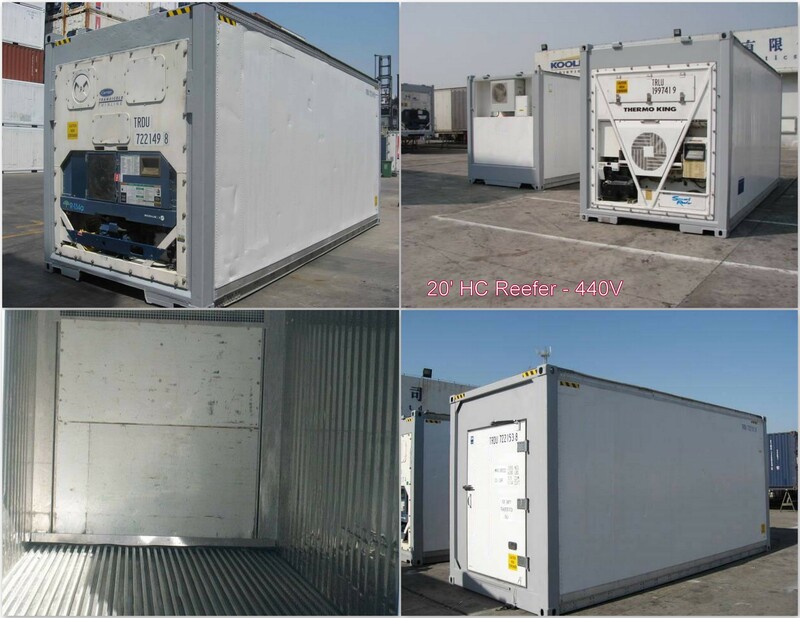 Reefer containers are available in 20 foot, 20 foot high cube, 40 foot, 40 foot high cube, and 45 foot sizes. The 20 foot HC reefers are 2009 remanufactured, and available in 230V and 440V. 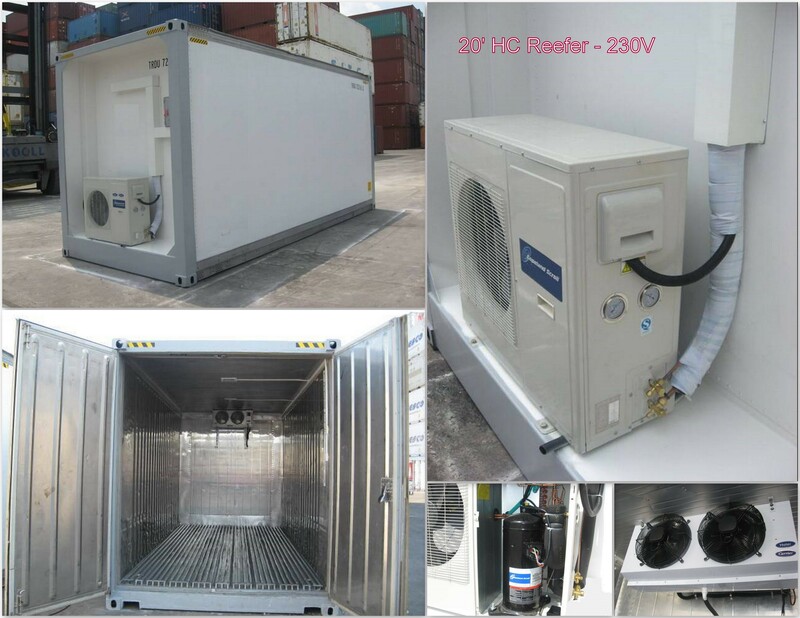 The 230V reefers come with Haier units and the 440V with either Carrier or Thermoking.